Make checks payable to "EMDRIA." Advance registration on our website is required in order to attend. Payment for those who have previously registered will be accepted on-site. EMDR Therapy with Military Veterans"
Ted Olejnik, LICSW, LADAC-1, USAF (ret) will be the lead presenter. 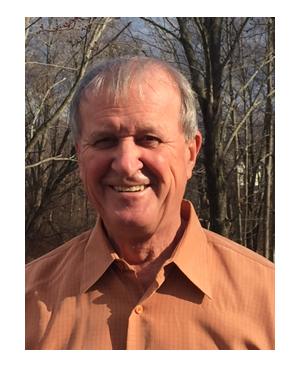 Ted is a Viet Nam veteran, a former active duty clinician, a current VA clinician, an EMDRIA Approved Consultant, and a HAP Trainer. The idea for this training event originated with Ted, who is volunteering his time and expertise. 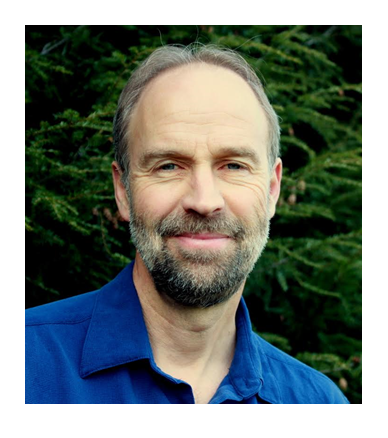 Mark Nickerson, LICSW, is an EMDRIA Approved Consultant, HAP Trainer, serves on the EMDRIA Board of Directors, is a Co-Regional Network Coordinator, frequent international EMDR therapy workshop presenter, and author of The Wounds Within: A Solder, A PTSD Therapist, and A Nation Unprepared. He will join Ted as a volunteer co-presenter to talk about his personal experience as a community-based clinician working with veterans. The workshop is a presentation of the Western Mass EMDRIA Regional Network and the live stream is organized by EMDRIA. The program is co-sponsored by the Massachusetts Psychological Association (MPA). MPA is approved by the American Psychological Association (APA) to sponsor Continuing Education (CE) for psychologists. MPA maintains responsibility for the program and its content. Objectives. Join us for this innovative & informative training to develop greater military cultural competence and increased understanding of the effects of combat stress exposure. This workshop will train participants to effectively use EMDR therapy with military veterans. The presentation will provide information on VA community-based outpatient programs, military culture, phases of deployment, and the effects of combat stress exposure. Video examples will demonstrate effective clinical application to each of the eight phases of the Standard EMDR therapy Protocol. This workshop is live streamed to our location in Lincoln, Nebraska from the University of Massachusetts in Amherst, Massachusetts. * Study Group. Attendees will be able to participate in an optional one-hour study group during the lunch period facilitated by the Regional Coordinator, Brenda Rohren, a Certified EMDR therapist and Consultant-in-Training. (Lunch is not provided, but you can bring your own or order in.) The group discusses cases (with no PHI) regarding the use of EMDR therapy. Participants obtain feedback from each other to improve their clinical skills and demonstrate fidelity to approved EMDR therapy protocols. This Study Group is not consultation cannot be used to document consultation hours towards EMDRIA certification. Eligibility Requirements. This workshop is limited to fully trained EMDR therapists. For attendees who are not members of our Regional Network, if verification of completion of the EMDR Therapy Basic Training cannot be obtained from the EMDR Institute's website, participants will need to fax or e-mail a copy of the certificate of completion to the Regional Coordinator, Brenda Rohren, at Fax: (402) 486-4342 or brenda@sene-emdria.org. Registration & Cost. To register, click on the "Register" icon to the left. If you are already a Regional Network member, login to your account before registering. Attendees also need to complete a registration form in order to receive EMDRIA credits and CEUs. (Click here.) Registration is limited to 30 attendees. Make checks payable to "EMDRIA." Mail with the registration form to: Brenda Rohren; c/o 7441 O Street, Suite 107; Lincoln, Nebraska 68510. Payment will also be accepted on-site for those who have previously registered on our website. Proceeds to benefit non-profit EMDR training and research efforts including HAP / Trauma Recovery and the EMDR Research Foundation. Location. The Regional Network meeting (i.e., workshop) will be held in Classroom 1 at 4600 Valley Road (Lincoln, Nebraska). Click here to view a map. Unable to attend the workshop at our Regional Network meeting in Lincoln NE? Click here to register to attend the workshop live stream to your home or office. The cost is: $75 for early bird registration by January 9; and $125 after January 10.